Ask any die hard horror fan, and they will tell you that there is virtually no greater thrill than to seek out and finally land a copy of that rare, hard to find title to add to their collection. I myself remember the days of scouring Ebay for obscure VHS copies of titles I came across in various horror forums and message boards. The time and money spent paid off, as I was able to view many of the so-called "obscure" gems from the 70's and 80's. However, nowadays, with the growth of the internet and video sharing sites, it doesn't take that much effort anymore to view most of these films. Still, they are fun to seek out. And certainly there are a plethora of lists out there by various blogs and horror sites counting down rare and "films you haven't seen." While I occasionally come across something I have not seen, it is rare that a list truly contains lesser known gems. Thus, I wanted to truly compile a list of films that truly have flown under the radar for one reason or another. These films aren't perfect, nor are they the "best" horror has to offer, but each of them contain a quality that makes them special and stand out among the countless horror films out there. There is a wide variety and something for every horror fan. They will be revealed starting with numbers 50 through 40. Please note that if you have seen the majority of the films on this list, I applaud you! You are truly an awesome horror fan! However, my hope is that there will some titles you haven't seen and certainly a variety of choices for younger and newer horror fans! Sweatshop came and went back in 2009 without garnering much attention in the horror community. This is shame because, while it doesn't break any new ground, it's a quintessential 80's throwback slasher film replete with brutal, gritty kill scenes and a frightening ruthless killer. True to slasher conventions, the film deals with a group of friends who break into an abandoned factory to throw a party, but instead encounter a bloodthirsty madman. Fans of survivalist/backwoods horror such as Deliverance and The Texas Chainsaw Massacre should really dig this little gem from Norway. Four friends traveling to a weekend getaway are ensnared into a sinister trap; they are left unconscious in the middle of the woods and when they awake, realize they are the quarry for a sadistic hunter. 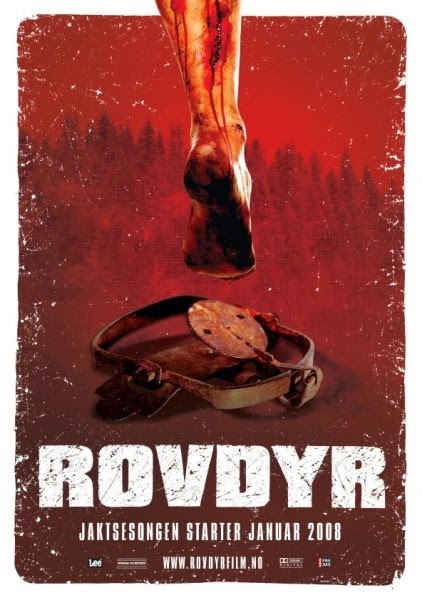 Fast paced and violent, Rovdyr will definitely stick with you long after the credits roll. 48. Easter Bunny Kill! Kill! As horror fans know, no holiday is sacred. From Black Christmas to Halloween to My Bloody Valentine, madmen have been slashing during the holidays since pretty much the inception of the slash genre. So, it should come as no surprise that Easter gets its very own bloodbath in Chad Ferrin's Easter Bunny Kill! Kill! 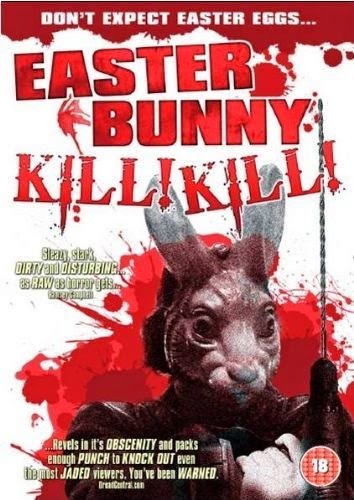 The gritty, bloody film, which brazenly touches on several taboo topics, deals with a night of babysitting gone horribly wrong for a young mentally handicapped teen and his sadistic sitter, as a killer in a bunny mask shows up with a variety of sharp tools. (Read our full review here). Scream revitalized the slasher genre in the mid-90's, causing a slew of slashers to be released both theatrically and direct to video. Most of them were good, but the majority of them were simply copycats trying to cash in on Scream's success. 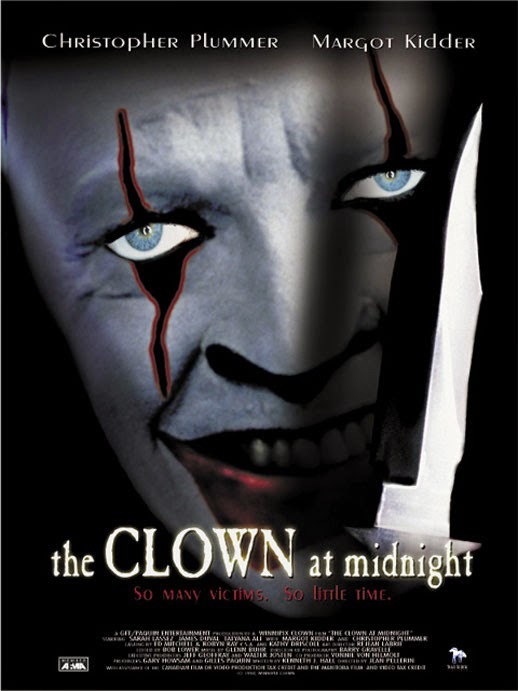 Released in 1999, The Clown at Midnight was sadly overlooked due to genre fatigue. A group of teens fixing up an old opera house for a school project are locked in and killed one by one by a creepy clown. With a competent cast including Margot Kidder, Oscar winner Christopher Plummer, and James Duval, the film competently captured the spark and charm of many of those memorable 80's slasher films. (Read our full review here). A family caught in a rainstorm take refuge in an isolated mansion run by a seemingly kind old couple. As it turns out, the old couple makes dolls. Lots of dolls. Lots of creepy dolls. 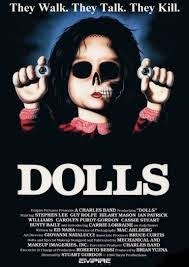 Dolls is truly a little gem of a film that deserves to be much better known that what it is. Full of atmosphere, disturbing death sequences, and interesting and unforgettable characters, it is worthy of multiple viewings and will definitely have you saying "they sure don't make 'em like that anymore!" Contrary to what some horror fans will tell you, the slasher genre is NOT dead and there HAVE been some great slasher released in the last fifteen years. 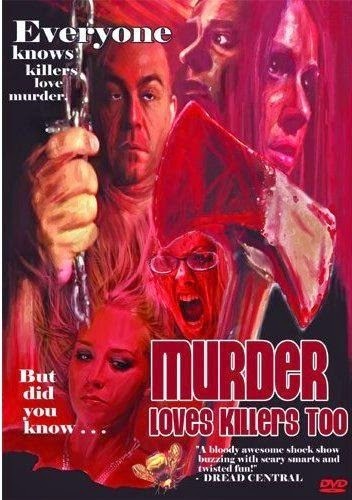 While not perfect by an means, Murder Loves Killers Too is satisfying wink to the golden age of the slasher genre that doesn't let its obvious budgetary constraints hinder it in the least. The film, which looks like it could have been made in the 80's, deals with a group of vacationing college kids who choose the wrong house to party. Violent, bloody, and often times suspenseful, this slasher homage does things just different enough to make it stand out from the countless other direct to video slashers. Fans of 70's Italian gaillo films will wonder why they have never heard of this little Canadian gem from 1983. Combining the best elements from both the gaillo and the American slasher genre, American Nightmare tells the story of a brother who begins an investigation into his sister's disappearance to discover that someone is stalking and murdering local prostitutes and strippers. Suspenseful, interesting, and often times sleazy, it is a shame this one is not better known, if just for the fact that it contains some of the best stalk and slash sequences of the 80's, as evidenced below. Horror fans who grew up in the 80's may be familiar with this one, or at the very least remember the VHS cover from their days of browsing the horror section at the local video store. 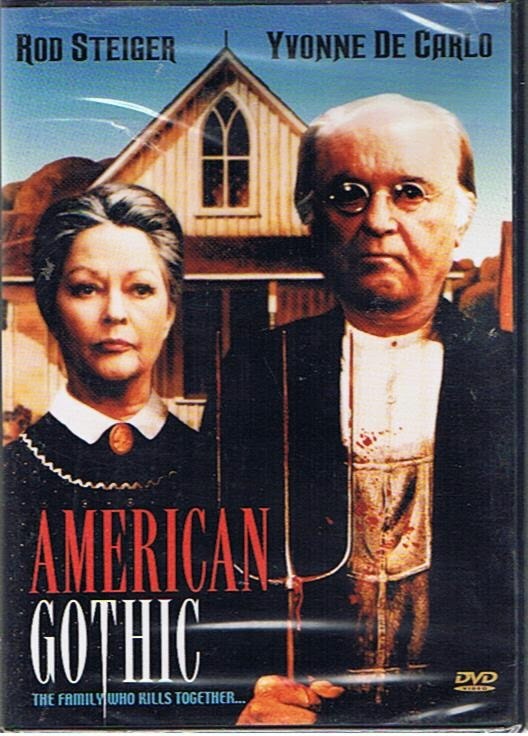 Starring Yvonne DeCarlo and Oscar winner Rod Steiger, American Gothic is truly an unforgettable film that stands head and shoulders above most of what was released in the 80's. A group of friends get stranded on an island inhabited by a truly bizarre family comprised of the strictly religious parents and their grown children who act like they are still little kids. They, however, are not as innocent as they appear and any infraction on their strict family rules is met with dire consequences. Full of both memorable scenes and characters, this is must see for any horror fan. (Read our full review here). Despite a lot of positive buzz back in 2007, this one failed to obtain a proper United States release---that is until this year. Told "found footage" style, the film chronicles the crimes of a serial killer who stalked Poughkeepsie, NY for years before his videos where discovered by police. Very few films can be truly classified as scary anymore, but this is one of them. Authentic looking enough to be unsettling, the film contains some of the most disturbing sequences put to film in the last decade. Truly thought provoking and disturbing. (Read our full review here). This film proves that budget in the right hands, a lot can be accomplished with virtually not budget. Told strictly through webcam conversations, the film tells the story of a girl who reaches out to a psychic with the help of her boyfriend after experiencing some strange things in her new house. As the evening goes in, it is apparent something sinister is at play, but is it what we think? 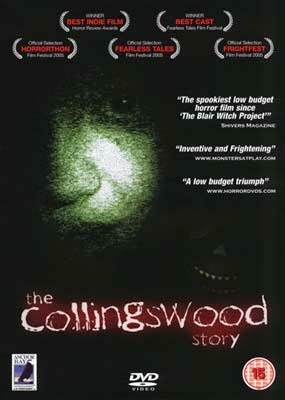 Chilling, highly effective with an ending that will knock your socks off, The Collingswood Story begs to be watched at night, alone, with all the lights off. 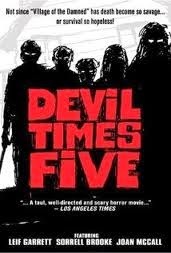 One of the earliest killer kid flicks, 1974's Devil Times Five gives us five little murderous heathens (including 70's teen heartthrob Lief Garrett) who escape together from their psychiatric hospital and terrorize a group of vacationers staying at a winter cabin. Disturbing sequences, including a man being beaten and stabbed to death for what seems like an eternity and a piranha in a bathtub sequence and the obvious glee the children get from their killing spree make this a deliciously demented, memorable film very worth of our list.